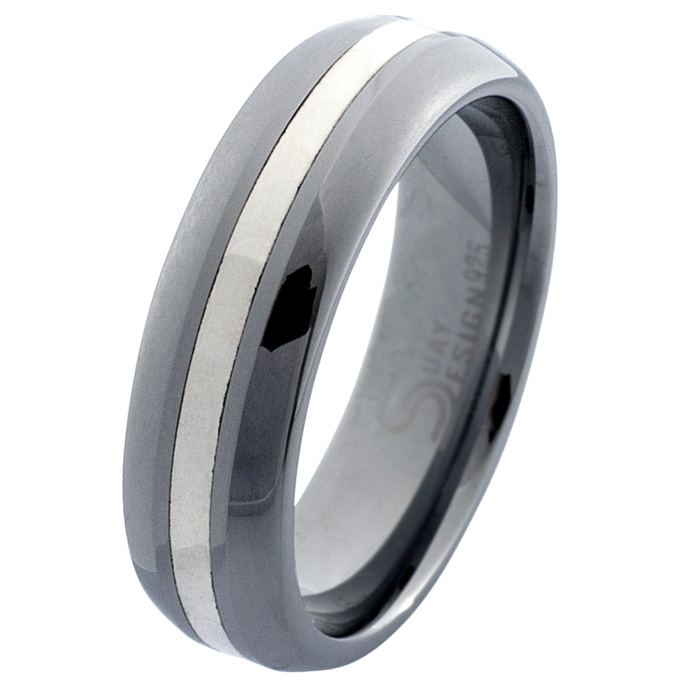 A flash of bright and shimmering sterling silver sweeps across the centre of this polished tungsten ring creating a contemporary and unusual design. 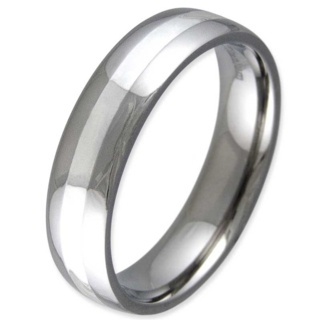 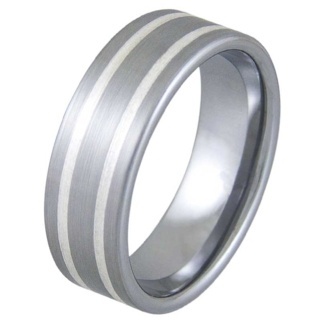 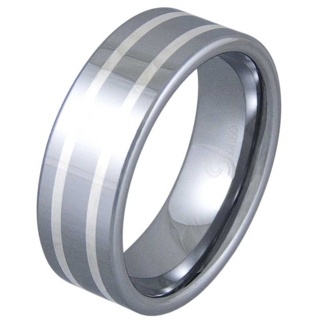 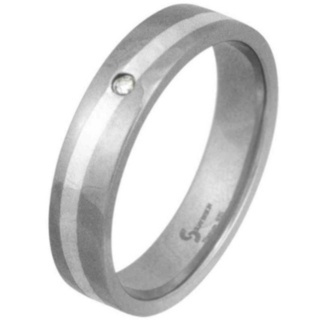 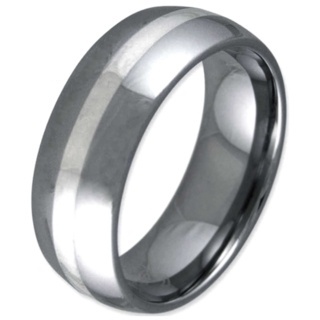 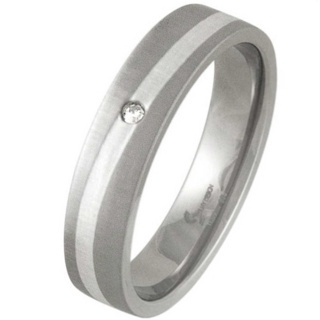 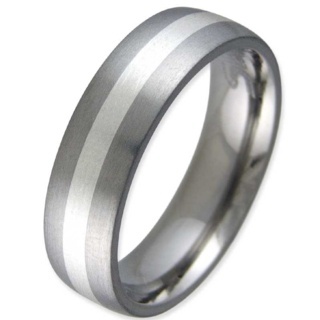 Highly desirable Tungsten Carbide Ring with a dome profile. 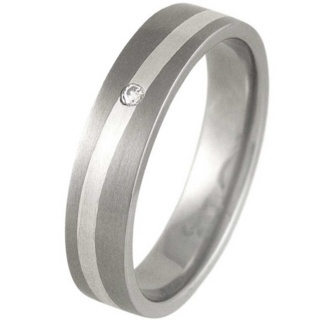 Dimensions 7mm.